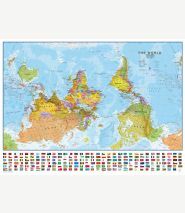 View the world from a different direction with this upside-down political world wall map. Map details: Everything is reversed on this upside-down world wall map! South is at the top of the map, north is at the base and the southern hemisphere is now above everything else. The countries in the east are now on the left side of the map, and those in the west are now on the right side. The countries on this upside-down political map are different colors following international boundaries. This upside-down political world wall map also shows capital cities (including approximate population size) and relief shading. 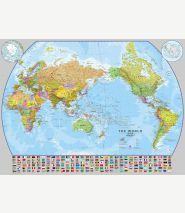 Map uses: This map helps us all appreciate that the world is spherical rather than flat and presents a view of the world that's different from the maps we are used to. 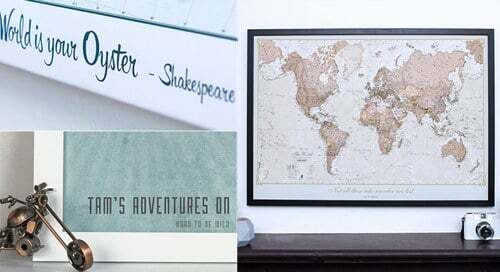 Although this upside down version of the map is intended for children in middle school and high school, it also makes a great addition to a family room or office. 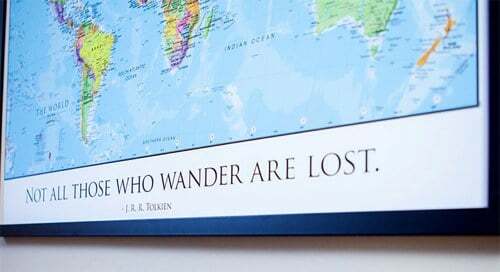 This map's sizes make it ideal for school walls.